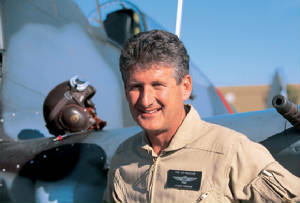 The Classic Helmet - how it all began. 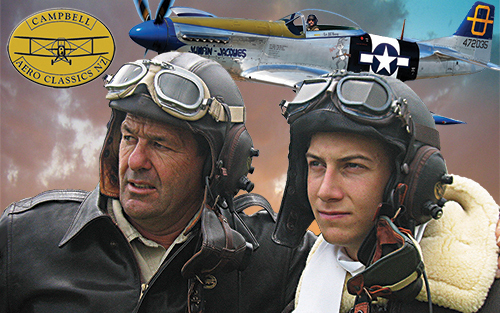 This very popular helmet has been endorsed and acclaimed by warbird, classic, and sport aircraft aviators worldwide. Comes with a choice of five leather options. 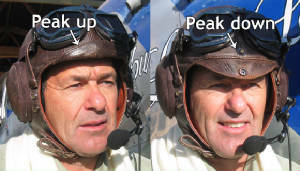 It is upgradeable to the Warbird model, and comes with an optional peak. 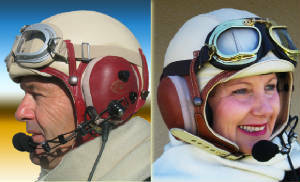 A Campbell Original Hard Shell Leather Flying Helmet, the choice of discerning aviators worldwide. 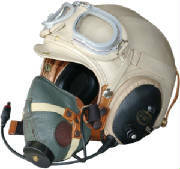 This superbly crafted helmet, based on the WWII American AN-H-15 helmet, features all over beige leather, authentic dark green mask, tan straps, and reinforced chin straps. Finished with striking black eardomes, flickdown peak, cut-away rear neck line, and rolled finished top stitched eardome edges. Includes an additional microphone ensuring easy change from mask to boom. This helmet kit comes complete with the fully adjustable leather face mask with integrated microphone. The inclusion of an extra microphone enables easy conversion to open boom configuration. 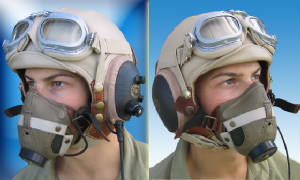 Ideal for open cockpit aircraft eliminating wind buffet, engine and cockpit noise. Greatly reduces element exposure whilst greatly increasing comfort levels. 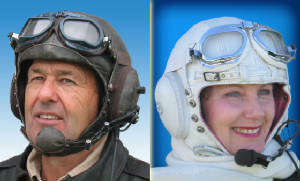 A stunning helmet with its distinctive air of elegance. Featuring the beige leather, with red or tan trim options, and a reinforced chin strap. Matching beige or antique brass goggles complete the picture. The latest addition to the helmet range, this model is all about recreating the excitement, passion, adventure, and romance of aviation whilst providing outstanding performance. Genuine New Zealand leather outer in a choice of antique brown, finished brown, white, beige, and black. Other custom options available also (follow the link below for photos). Quality American customised impedence switchable (NATO and GA) avionics, fitted with a dynamic noise cancelling (non-amplified) microphone ideal for high-noise environments and featuring a safety egress cord with a six foot lead (follow the link below for further details). Secure head hugging, tension sprung, ear cup fittings. We are now offering Oregon soft seal ear covers and gel ear seals as optional. 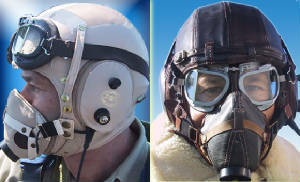 World War II Halcyon flying goggles in either the Mk 8 split lens, or the Mk 410 oval shaped lens. These come in a range of 4 different pad and frame colour schemes each, and tinted or untinted lenses for the Mk 8 stlye only (follow the link below for photos). Personalised serial numbered brass name plate. 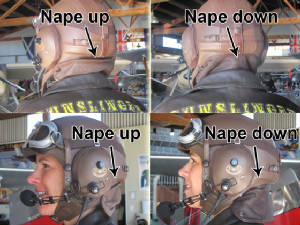 Optional flick down peak designed to shade eye area (shown below), and optional fold down neck nape piece (shown below) which is designed to fit under a jacket collar and prevent elemental exposure (wind, water, sun) around the neck area and when not in use folds up and snap buttons to the helmet...perfect for open cockpit and cold weather. Completing the kit - a sturdy canvas helmet bag, a 100% New Zealand merino wool flying scarf, leather wax dressing, and a logo embroided cap. 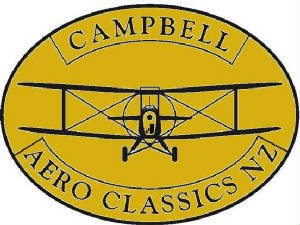 "I use your helmet all the time and love it...they are quiet and comfortable...I like them alot..."
"Were it not for the helmet I would be dead...thanks for the great construction and for saving my life"
Disclaimer: Campbell Aero Classics N.Z. 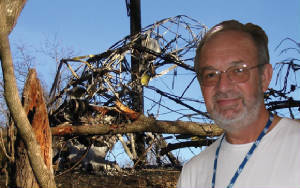 Ltd accepts no responsibility for any injury or loss arising from the use of the products on this website.